All signs point to a coming revolution in web applications – sites will no longer be static islands unto themselves or behave like Microsoft WordPad in the cloud. Indeed, several emerging technologies such as OAuth, OpenID, HTML 5, and a web OS will initiate an age of robust web applications. Here are five ways in which web apps will change over the next five years. We're seeing this already with sites such as Twitterfeed (which uses Yahoo and others for authorisation), and Traxo.com (which makes good use of Facebook Connect) to share data between sites. Yet, in the next five years, apps will become even more adept at sharing data, mostly thanks to OAuth (a way to authorise access between sites) and OpenID (a login service). Once apps are more connected with each other, the role of the operating system will diminish – it will become merely a way to sign on to the web initially, manage local RAM, and handle drivers for USB devices. The emergence of cloud storage providers such as Amazon, Rackspace Cloud, and Mozy Pro have shown we want to store data in the cloud. However, storage-as-a-service is still in an infant state because it's still not possible to use any web app to access that storage. By 2014, cloud storage will lose its proprietary and closed nature; standards will emerge that allow you to store data on your provider of choice, then access it from any web site – including Flickr, YouTube, and even Spotify. web storage also means a lessened role for the OS in not having to manage as much local storage. Microsoft is one of the leaders in converting voice mails to email text - it was doing that as part of Exchange Server before anyone even knew about Google Voice. Services such as Yahoo Fire Eagle paved the way for greater location awareness, and Mozilla Firefox has built-in features for sharing your GPS coordinates. 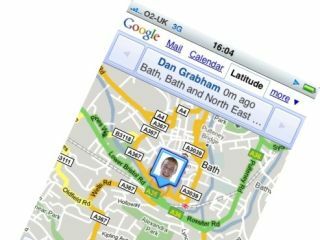 Google Latitude is another great example of how you can let friends know you are on the bus, automatically. However, in the next five years, geo-location services will greatly improve: every web app will know your current location. For example, if you visit an electronics retailer in person, and tap in to the site, you'll be able to make authorised purchases and pick up your gear. Or, for mapping sites, you'll see a standard, cross-site "you are here" icon. HTML, Java, and Flash protocols are maturing to the point where it is now easier to program a custom site, but in the future, services such as Joomla will finally evolve from a proprietary site for experienced programmer into a jumping off point for even the most newbie-fied among us will be able to create rich sites with built-in application APIs and functions. Meanwhile, photo sites such as Livebooks.com and Photoshelter.com, blogging platforms such as Typepad and WordPress, and social networks such as Facebook will offer more and more features for creating web applications. The end result? Someone will create a web application engine that requires no programming experience at all.